Overview... a demigod with a superiority complex. As Maui will proudly declare to anyone who listens, he’s a shapeshifter, a demigod of the wind and sea, and a hero of man who helped create ocean life. But after stealing the heart of a goddess and being attacked by a lava demon, Maui wound up trapped on a tiny island in the middle of the ocean. 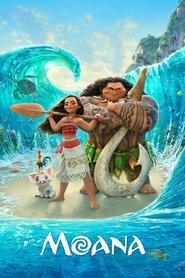 That’s where he meets Moana, a Polynesian princess who demands that he help her return the stolen heart and restore balance to the sea. Personality... egotistical, self-centered, and brash, though with hidden vulnerabilities. No one loves Maui more than Maui does, and he assumes the rest of the world feels the same way. The only thing bigger than his massive muscles is his massive ego. But beneath all that swagger, Maui also has deep-seated insecurities he seldom opens up about. He’d rather be loved from afar than truly make a connection with the humans he protects. Maui's popularity ranking on CharacTour is #1316 out of 5,000+ characters. See our top-ranked characters and read their profiles.